Derek Grant is one of those dudes that I have always respected. During the formative years of my life he played in some of my favorite bands, including The Suicide Machines, Telegraph, Gyga, Thoughts of Ionesco, Remainder,and Walls of Jericho, before becoming part of Alkaline Trio. Did you know he was the man behind the drums on Destruction By Definition? He's had a pretty awesome career. This year he is embarking the next step of his career, which includes a solo album and a solo tour. His latest album is called Breakdown and it will be released January 20th on Red Scare Industries Records. He will making a stop at The Magic Stick Lounge on Friday, January 23rd. 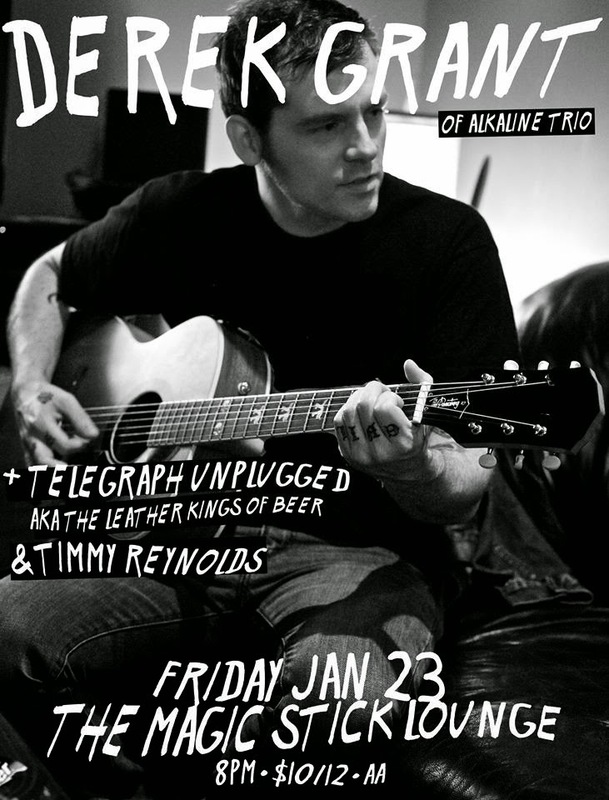 He will be playing with a full band, alongside Telegraph Unplugged aka Leather Kings of Beer & Timmy Reynolds. Tickets for the show are $10 in advance and $12 at the door. You can purchase advance tickets here. We also have one pair of tickets to give away to one lucky readers, thanks to our friends over at Black Iris Booking. To enter to win, please email your full name to hipindetroit@gmail.com with Derek Grant in the subject line. We will draw a winner the morning of the show and email them details on how to claim their prize. Check out a new song from Derek here and head out to the show on Friday!